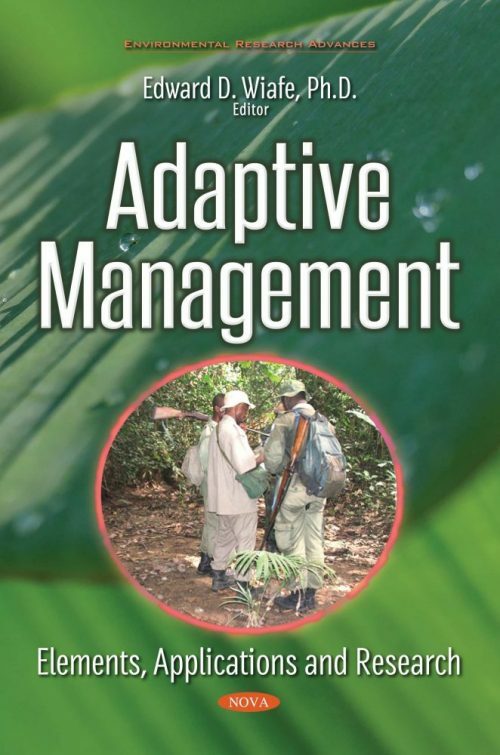 The goal of an adaptive management approach is to reduce uncertainty over time by systematically incorporating learning into management. Managers of natural resources are required to design their actions as scientific experiments, monitor the outcomes, and adjust management direction in light of what the experiments revealed. This is a modern management concept that facilitates the achievement of resource management objectives. This book has enumerated cases of adaptive management elements, applications and experiments to test the efficacy of the concept in addressing resource management problems. The complexity of the conditions in which the natural resources occur – i.e., biophysical coupled with social, political and economic – warrant the application of natural resources. In the era of change in the economy, climate, population and lifestyles, the utilizers of the renewable natural resources are taken more than the supply. It is therefore necessary to apply the concept in order to ensure sustainability and efficient utilization. This book serves as a source of knowledge and experiences from renowned practitioners in the sector of entomology, zoology, fisheries, forestry and so on.